It may usually be the domain of the thespian crowd, but for one day only Birmingham’s Crescent Theatre went into full operational mode to present a near eight hour continuation of primarily local folk and roots music. This was a significant step up from the venue’s occasional Monday night experiment with live music in the bar as both this usual space and the main auditorium housed around a dozen acts on a seamless rotation. To borrow one half of the pun-induced title, a great time was had by those sharing their Sunday with the conveyor belt of artists on parade. Folkin’ Great held onto the ideals of its organisers to keep it mainly local by ensuring four of the six main stage acts didn’t have far to travel. 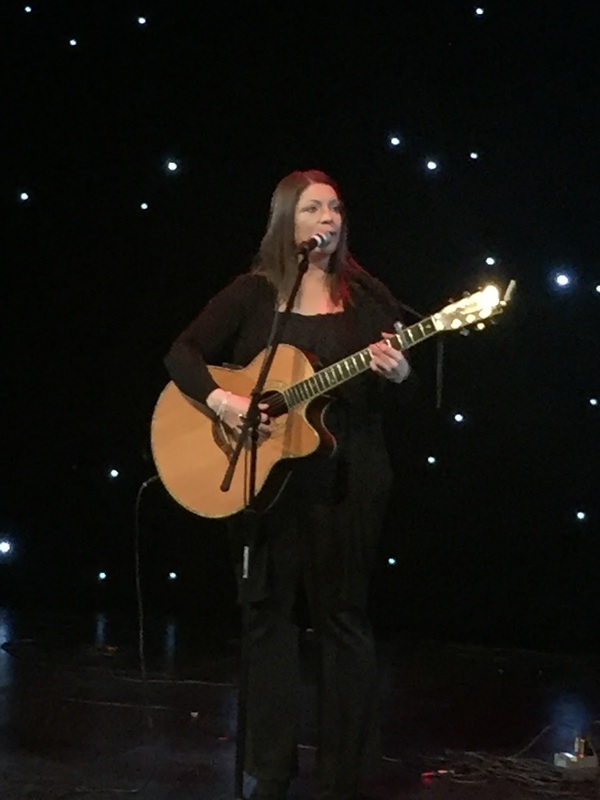 The two exceptions did have pride of place at the top of the bill with East Yorkshire based Edwina Hayes returning to a venue where she played a successful show last summer. Shortly after Edwina finished her set, necessary stage adjustments were made to introduce the headline act all the way from Northern Ireland in Duke Special. If you’re trying to cover a fair few bases, these contrasting artists fit the bill neatly. Edwina’s velvet vocals produce reassuring warmth as she embodies a mellow touch of affable charm. In stark contrast to the conventional style of Edwina, Duke Special emerges as a quirky random character, spiky in persona, but totally absorbed in the dedicated art of song. Duke is also no stranger to Birmingham, with the Glee Club being a stopping off point on his tours. 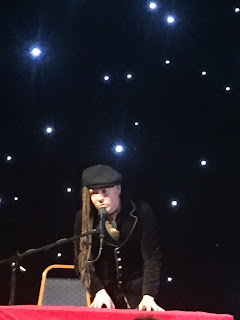 Tonight the enigmatic pianist and song writer once again hooked up with his regular percussionist Chip Bailey to play an enterprising headline set to an audience of whom some took up his second literal offer to join him on stage. A recurring theme of Duke’s set was his love for sheet music and he lived up to his billing of possessing theatrical style inspired by vaudeville and music hall. Perhaps the surroundings and the thinning intimacy created by a few calling it a long day before the final hour, sent Duke spinning into a seeking role to explore ways of sharing his obvious passion for song. This was folk music with a left field tinge, encouraging an open mind and inviting an adventurous engagement. Edwina was assigned the role of penultimate headline act in a mini festival format where the audience was spared a solitary moment of downtime. Each twenty minute slot of main stage switchover saw a local acoustic act perform in the bar area. Engaging in refreshments, socialising and shuffling around the theatre possibly impacted a touch on fully absorbing these artists, although short sets by the duo Ashland and young singer-songwriter Eve Singleton were noted for further investigation at a later date. There were no such distractions in the main house at the festival’s midpoint when two emerging Midlands artists played a couple of lengthy sets. 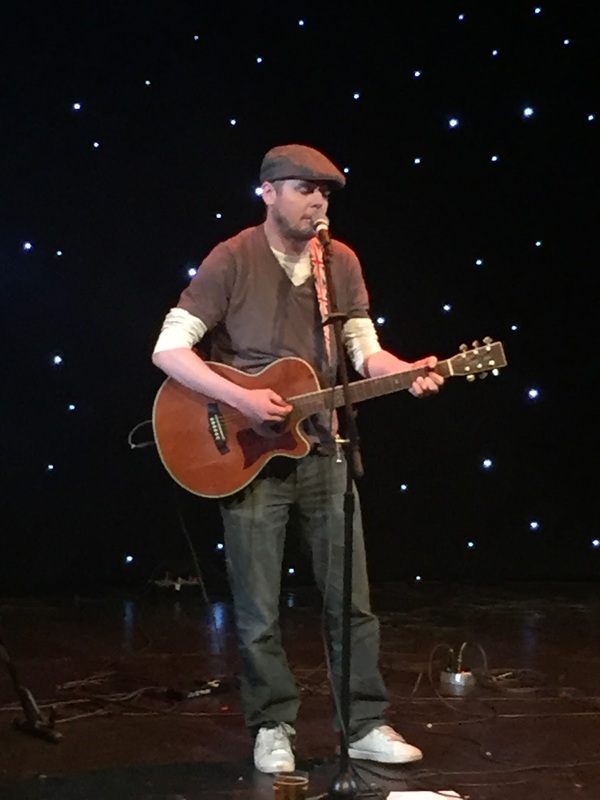 Chris Cleverley has been active on the Birmingham gig scene for a while now, often supporting major touring acts playing the smaller local venues. Chris launched his own debut album in 2015 and was no doubt thrilled by the reaction it got from sections of the national media. Chris reverted to his solo status for this show and displayed his immense acoustic guitar playing flair alongside a thoughtful and introspective song writing style. 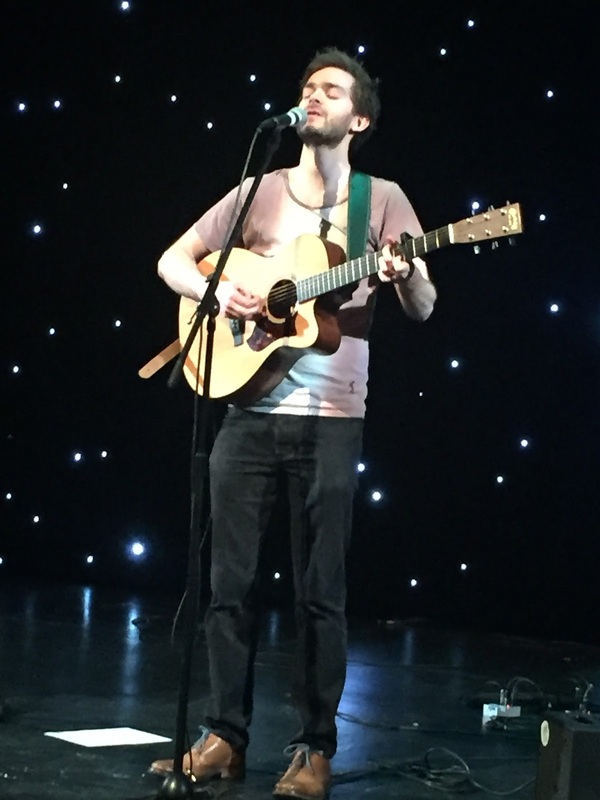 Amongst playing a handful of songs from the album APPARITIONS, Chris intimated a passion for immersing into the creative world of song writing, aligning this with a wry sense of humour and increasing maturity as a performing artist. 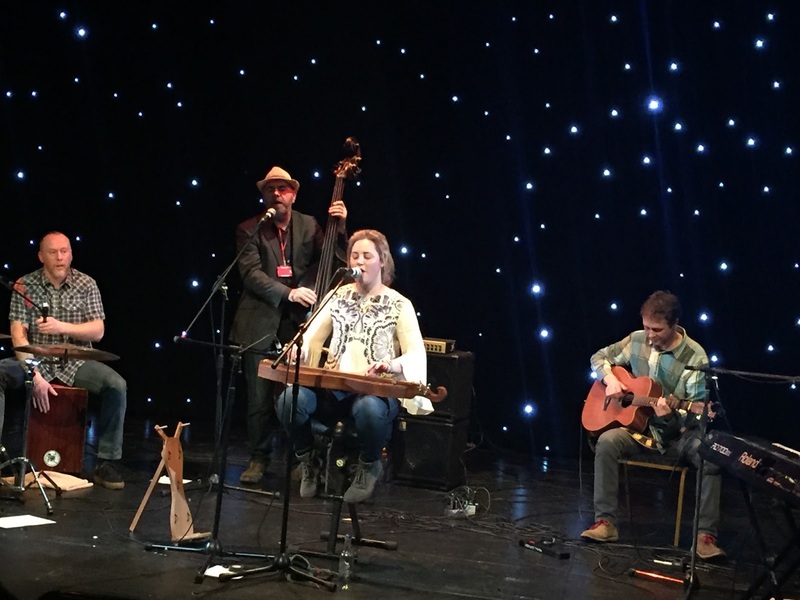 Following Chris onto the main stage was another rising Midlands folk performer and the ever impressive Kim Lowings, backed by her usual band The Greenwood. Kim has been the subject of more than a few column inches in these quarters over the last couple of years, as the blossoming of her talent has been witnessed. The band were also busy in the studio last year with their second album release, but on the second occasion seeing Kim this year, she is not holding back on the itch for presenting further new songs. If these unwrapped offerings are pressing to get out then why hold them back. Kim used the expanses of the Crescent stage to play a couple of these freshly painted numbers on piano with the applied effect lifting her performing artistry onto another plain. Upon listening to ‘Firestones’ and ‘I Fly Away’ on this first occasion, one can envisage them being around for a long time, such was their control and finesse. 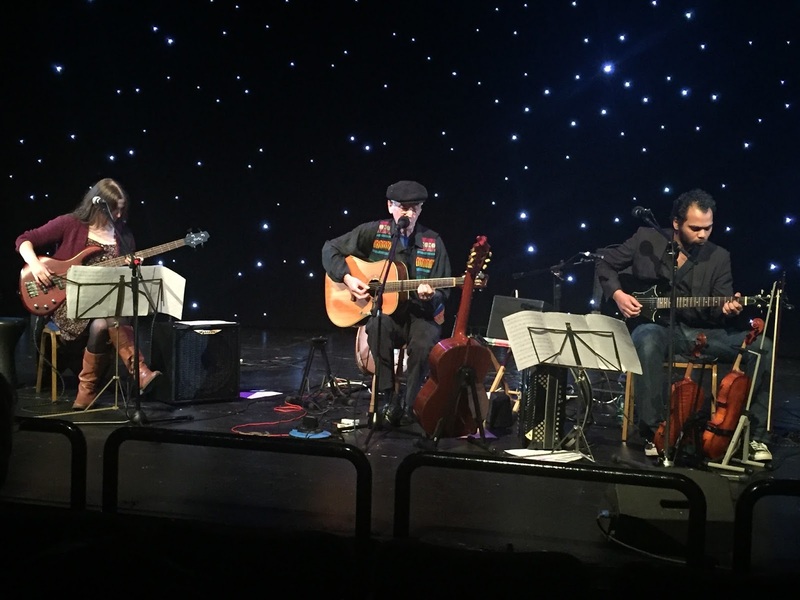 The remaining two acts to complete the auditorium line-up were also locally based and in line with what we were to see later presented as an eclectic view of folk music perception. Making the short trip from the Black Country was the three piece band The Empty Can which launched the festival in a folk rock direction with the meatiest offering of electric guitar that we were to hear throughout the day. This was punctuated by graceful violin and a lead singer swaying between some hearty local dialect vocals and an alternate singing style comfortable with successfully pulling off a couple of standard rock covers. 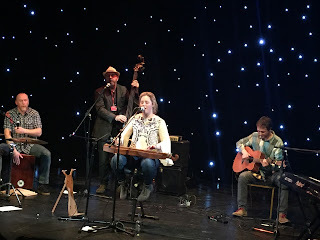 The other three piece band which completed the line-up was known as Soundboard and represented the more traditional side of the folk genre with severely impressive classical pretensions. Multi-instrumentalist Natalie Mason raised a few eyebrows when saying she only returns to the violin for this band and subsequently produced a performance towering above many on the circuit who major on this instrument. Upon reflection this eight hour extravaganza of folk music worked a treat and ensured an enjoyable Sunday afternoon and evening was had. The inevitable teething issues for a venture in its ultimate infancy impacted little on the listening audience and overall the sound came across well in the auditorium. While the organisers may have liked to have sold a few more tickets to give the main arena a fuller atmosphere, there was a continual buzz about the venue as folks moved between performances and frequently packing the bar area. The most important aspect was that the Folkin’ Great guys put on a fabulous, value for money, diverse show and gave a welcome platform to several artists representing the depth of local talent with a couple of highly welcome out of town guests to top the day.